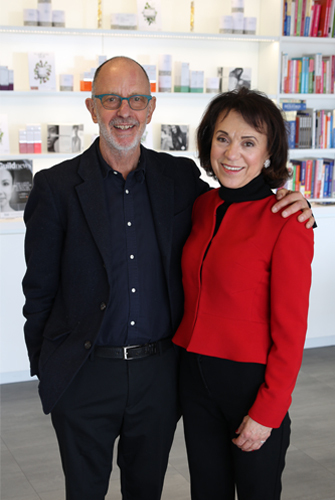 iiaa hosts Dr Yehudi Gordon | iiaa Ltd | The UK and Ireland distributor of Environ Skincare, jane iredale makeup and Advanced Nutrition Programme. iiaa Ltd has kicked off a new operational year on March 14th with the first of a number of new VIP seminars, designed to further empower skin professionals to deliver the very best outcomes for their clients’ skin. The first iiaa seminar welcomed Dr Yehudi Gordon, (MB, Bch, MD, FRCOG, FCOG SA) author and consultant gynaecologist. Dr Yehudi Gordon, recognised as a leading authority in the area of holistic womens’ healthcare and a proponent of Bio Identical Hormone Replacement Therapy (BHRT) addressed over 100 skincare professionals on dealing with the menopause and healthy ageing. Joined by Lorraine Perretta, Head of Nutrition at the iiaa, the seminar explored why hormones change during the ageing process, how that affects skin and how to manage the journey by taking a personalised approach, from the inside out.